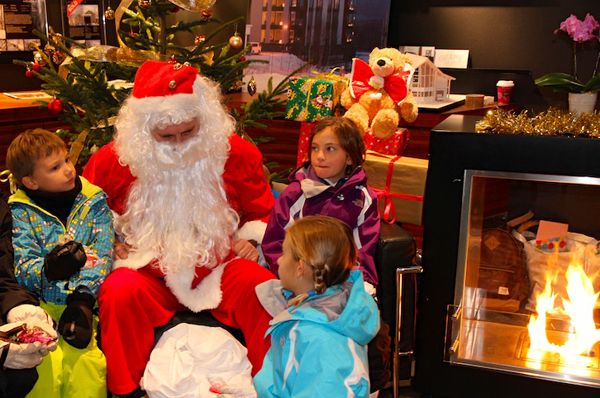 Are you going to be in Niseko the holidays? 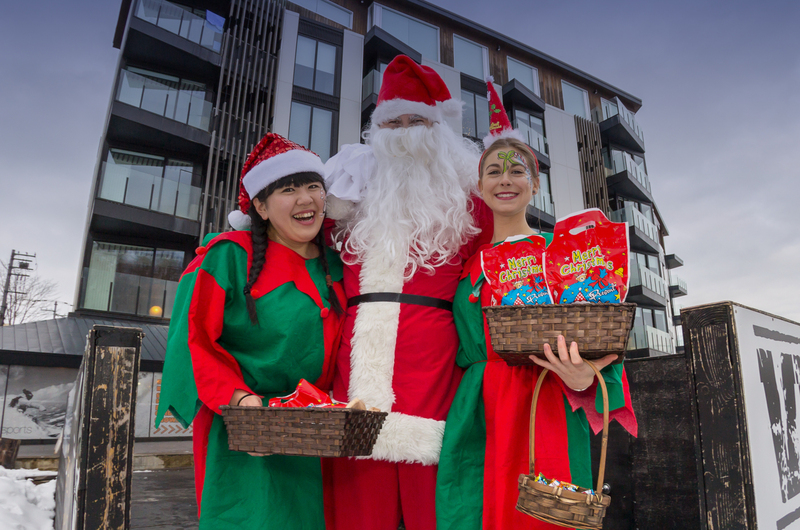 Whether singing a Christmas carol or two or bringing in the new year, there’s more than enough going on across the four Niseko villages to keep you entertained on these special dates. Japan embraces the western holiday season during this time of year, and also has some cracking traditions of its own to explore and enjoy. Japan has fully embraced the modern western Christmas (in form if not in spirit! 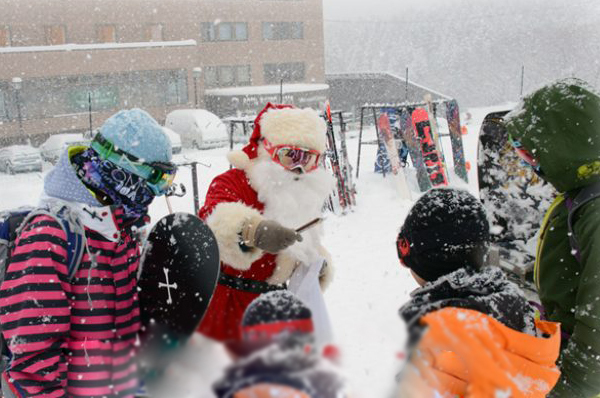 ), and as Niseko grows more international by the year, we see an ever-expanding roster of international holidays celebrated throughout the resort. Though the soul of the holiday is a little different and the event a little less major in Japan, there’s no shortage of fun things to do and ways to get your fill of holiday cheer. Kamimura: Niseko’s iconic fine dining restaurant serves a special 9-course degustation menu with paired wines on Christmas and New Year’s Eve. 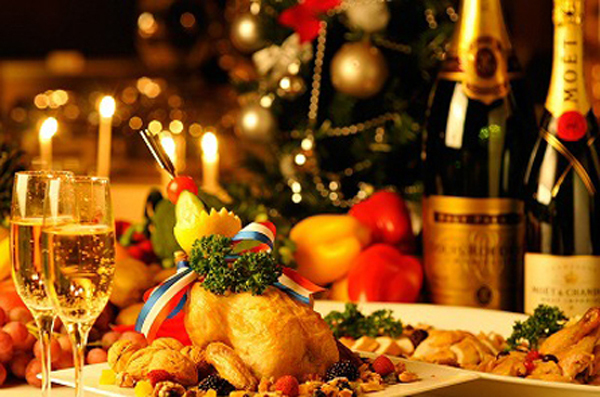 The Vale Bar & Grill: Are offering a special course menu on Christmas Eve and Christmas Day, with kids’ course menu available. 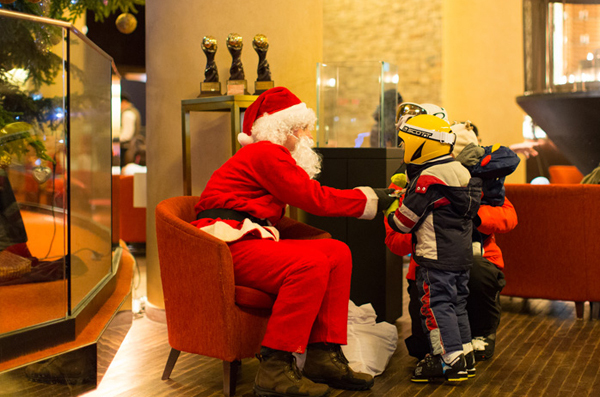 Hilton Niseko Village: Each of the many restaurants on site adds festive touches to their selection during Christmas. 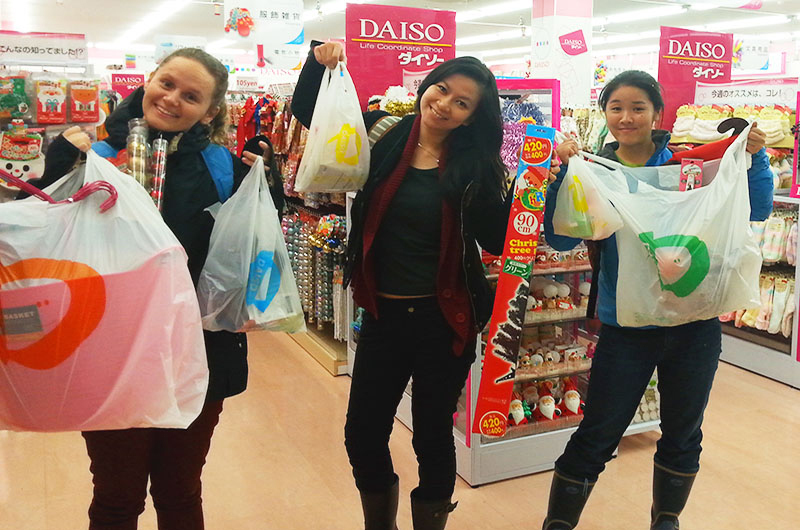 If preparing for your own home Christmas, drop by 100 yen stores, Daiso and CanDo in Kutchan Town to pick up any decorations or baubles you might need. Convenience stores and supermarkets will also have a few novelty seasonal goods in stock leading up to the day. You’ll also find themed wrapping paper, gift cards – everything you need! 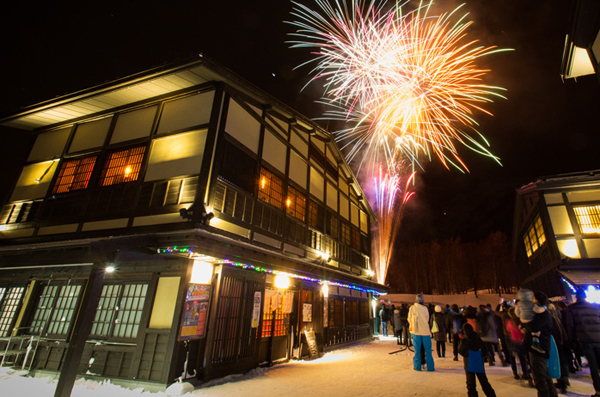 Niseko Village and Grand Hirafu ski resorts will mark Christmas with fireworks on the slopes, usually at child-friendly hours. The New Year or “shougatsu” holiday is to Japanese what Christmas is to westerners – including obligatory family time and one of the few days in the year that stores and offices in Japan close. Many traditions surround the last night of the old year and the first day of the new. Champagne and fireworks watching is always on the menu in any bar in Niseko, but the area really shows its Japanese soul during the Shougatsu celebrations. 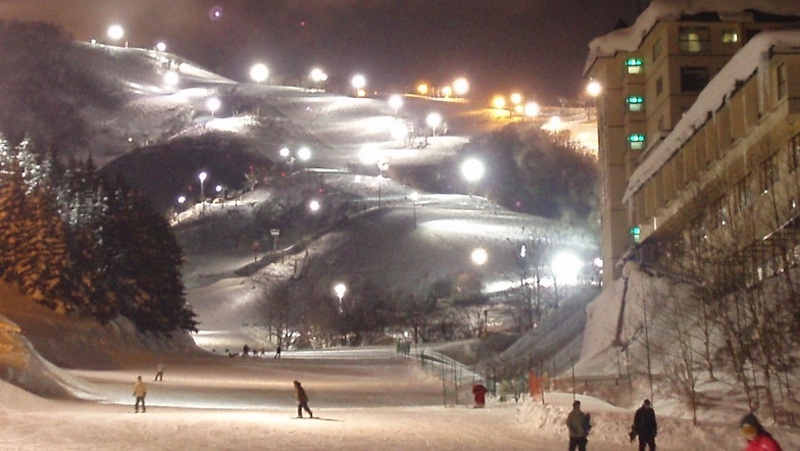 Niseko Annupuri Resort offers FREE night skiing until 11.15 PM on New Year’s Eve. Feel that festive buzz in the air as you enjoy the lit-up slopes, then grab a beer and wait at the foot of the ski hills for the dramatic torch relay and midnight fireworks. The fire torch relay is a fantastic spectacle and a local tradition. 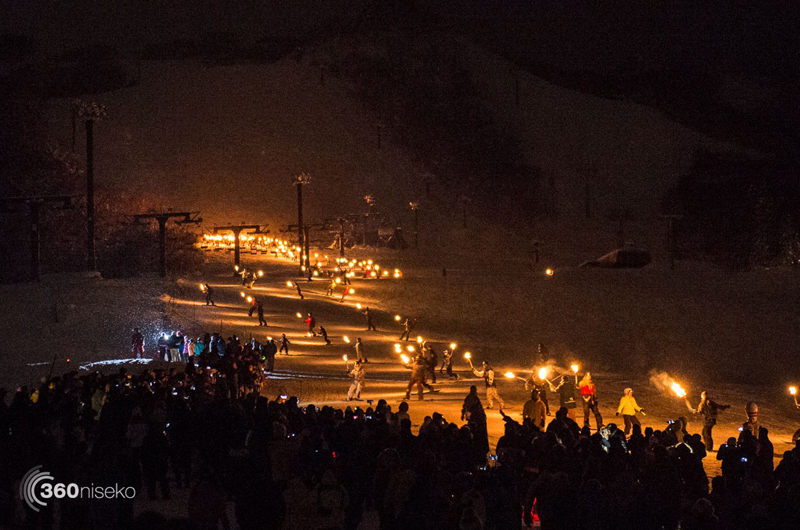 As the lights go out on the slopes, volunteers with lit fire torches light up the night. They form the shape of numbers marking the coming year, then trickle down the mountain in the dark. The descent is timed so that the last rider hits the base at midnight, then the sky fills with fireworks (although it’s not always perfectly on time). Dress warm while you wait, and enjoy the bonfires! Nothing is quite as dramatic as fireworks lighting up the winter sky. 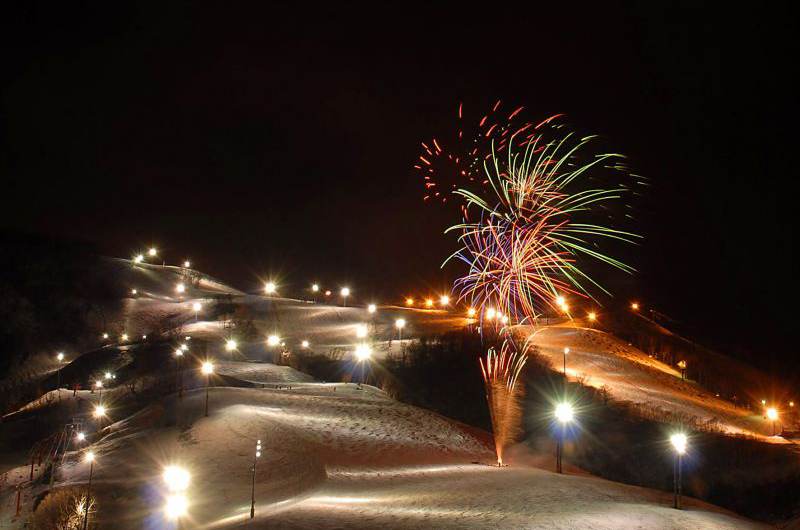 At each of the four Niseko resorts, fireworks will shoot up and light up the sky at midnight to bring in the new year. At Annupuri and Grand Hirafu resorts the fireworks go hand in hand with the fire torch riders to make a beautiful and memorable night. Happy New Year! The “Hatsumode” or first shrine visit is a Japanese tradition. Crowds will gather at Japanese Shinto shrines, waiting for the new year to be brought in by solemn gongs. At the stroke of midnight, people rush to make their first wishes and prayers for the year. The “Hatsumode” or first shrine visit is worth seeing wherever in Japan you find yourself, and shrines in Kutchan and Niseko Towns are no exception. 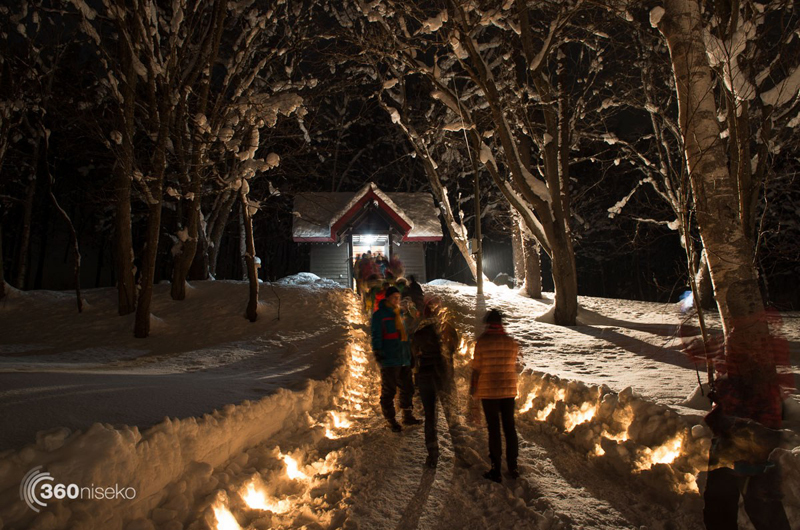 On the Niseko slopes, this the only night of the year when Hirafu’s hidden Yamada shrine opens its doors. Come to the shrine and make your wishes, enjoy a candle-lit walkway, bonfires, stalls with sake and food and a convivial village feeling. On New Year’s Day, Japanese hotels and ski resorts will break open a traditional wooden sake cask, with free sake shared as a part of festivities. 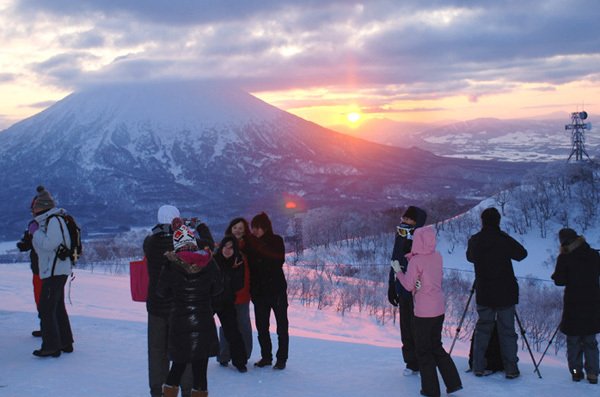 Last year AYA Niseko, The Vale Niseko and Hotel Niseko Alpen, Grand Hirafu and Hanazono ski resorts all partook. The earliest and grandest is at Hanazono Resort’s Hanazono 308 restaurant from 10 am, with resort bigwigs and free sake for all. Mochi (sticky rice cake) is traditionally eaten on the first day of the New Year. You can buy mochi in many forms during this time of year, but nothing is quite as fun as making mochi by hand! 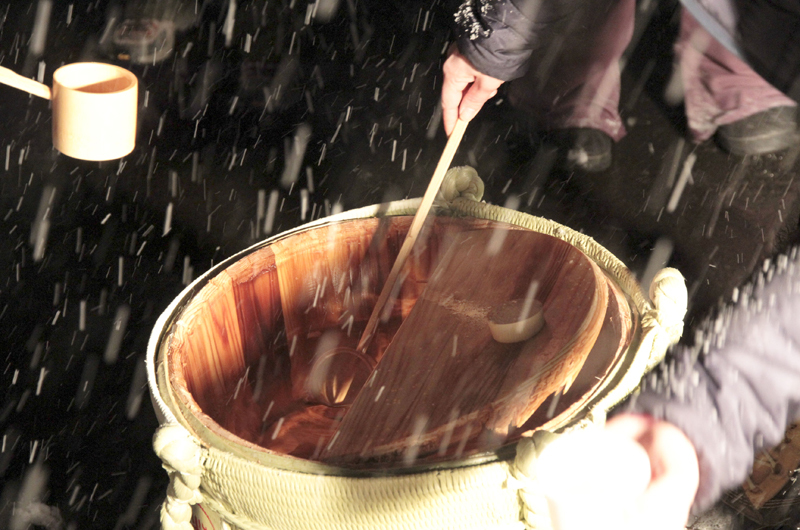 Pounded in large bowls using giant hammers, with one person swinging hammer and another kneading the rice dough: Mochi Making is a quintessential New Year’s activity in Japan that’s fun for all ages! With all these events happening in town, you’ll be kept busy in the last week of December. Be sure not to party too hard! We would like to see the Taiko Drums performance, and will be staying in Hirafu in late January and early February! Will there be Drums at Niseko or Hirafu? Hi Tim, yeah there sure will. Sundays 16:00-16:30 until 11 March at the main intersection of Hirafu. Enjoy!